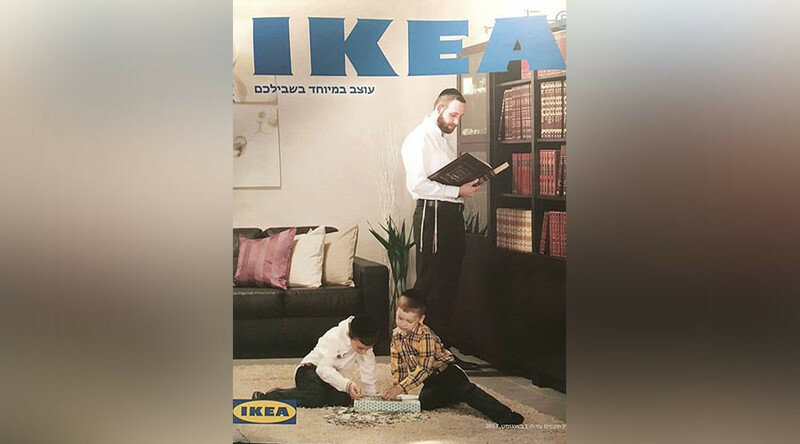 Swedish flat-pack furniture behemoth IKEA has suffered an online backlash after issuing a catalog, aimed at ultra-Orthodox Jews in Israel, which featured no women. The brochure is specifically designed for the Haredi (Orthodox) community and depicts men and boys with traditional side curls and wearing kippahs in a variety of domestic poses. So IKEA made a special catalogue for ultra orthodox jews in Israel. With no women in it. World not doing so well right now are we? The items include bunk beds and bookcases lined with religious texts, display cases with Shabbat candlesticks and tables set for the Sabbath meal, but not a single woman or girl is featured. The Haredi make up roughly 11 percent of Israel’s population of 8.5 million and are known for the absence of women in their media. The furniture giant told the Times of Israel that they issued the catalog following a number of requests to do so. “We decided to launch a dedicated and unique magazine that also allows the Haredi and religious public the benefit of enjoying the products and solutions IKEA offers in accordance with their lifestyle,” IKEA said. The company issued an official apology Friday, saying that the catalog "is not something that has gone through us." "We have been very clear that this is not what the IKEA brand stands for," IKEA spokeswoman Josefin Thorell told Swedish news agency TT. This is not the first time the company has come under fire for omitting women from its publications. In 2012 the company issued an apology for photoshopping women out of the catalogs distributed in the Kingdom of Saudi Arabia.